Jimmy Carter served a single term as president of the United States. He won the office in a bit of a nail-biter in 1976, defeating incumbent President Gerald Ford. President Carter lost his re-election bid four years later in a landslide to Ronald Reagan. He has lived with a decidedly mixed presidential legacy ever since. However, let it be here as the former president becomes the oldest living former president that his legacy is destined to improve as time continues to march on. President Carter on Friday will surpass the late President George H.W. Bush as the oldest former president. The 39th president already holds the record for being having lived longer than anyone past the time he left the presidency. I want to salute this good man because he stands in such a sharp contrast to what we are witnessing these days in the White House. There was never a scandal to besmirch his administration. He vowed never to “lie” to us and as near as I can tell he kept that pledge. 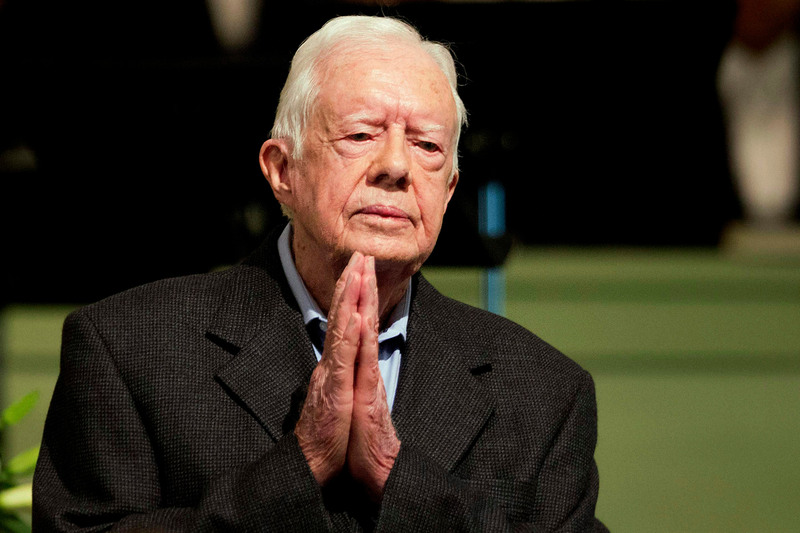 President Carter has lived a life according to the Scripture to which he has been devoted. He left office after a stunning landslide loss and then became arguably the most admired former president in recent history. He has built houses for underprivileged people worldwide for Habitat for Humanity. He founded the Carter Center in Atlanta, using the center as a forum to promote free and fair elections and to be a watchdog on behalf of human rights, one of the hallmark themes of his presidency. I know the president had a mixed record as our head of state. He did, though, broker a permanent peace deal between Israel and Egypt. Yes, he launched that ill-fated mission to rescue Americans held captive in Iran and struggled for 444 days trying to negotiate those who were taken hostage by Iranian radicals in November 1979. All of that and a floundering economy contributed to his crushing defeat. He left office as proud as he was when he entered it and has gone on to live a modest life in his beloved Plains, Ga. He is still teaching Sunday school at his church and has battled cancer. He is a champion worthy of admiration of a nation he led.